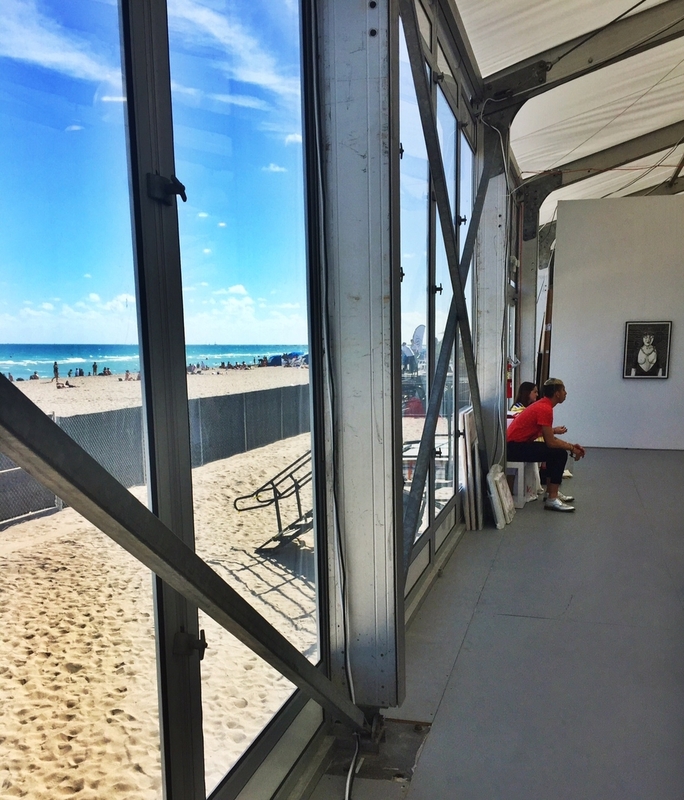 It's only Thursday, but Art Basel is already in full-swing, especially if you're an artist. As I prepare to head down for the weekend with all the other non-art-worlders, I couldn't help but wonder: what is Art Basel like for the artists? I caught up with New York-based painter Jeremy Penn, who was nice enough to give me the inside scoop on art fairs, Cuban food, and conga lines with P. Diddy. How long have you been going to Art Basel? This will be my 6th year. There is a really authentic cuban place called El Tropico. That's my secret spot. I also love Cleo, a middle eastern place right across from SLS. What are the best parties? Du Jour is probably the best. Last year it was at The W. There's a great vibe all around, good people and everyone there is a notable and it's a really cool scene. The Silencio party is also good, but I'm not sure if that's happening this year. What are your favorite art fairs? Untitled. It always exceeds my expectations. There's so much at Art Basel but that seems to be the constant right now of good work. Is it true all the best stuff happens during the week? It's very true. In fact, I'm leaving on Saturday because I'll be completely burned out. Most people come in on Friday and Saturday, but the big things are happening Tuesday, Wednesday and Thursday. This is when the best parties happen and all the best art is sold. What is your best Basel experience? Two years ago at the Silencio party, Pharrell was performing his song "Happy" before it came out and no one knew what it was. He killed it and we all broke out into a conga line with every artist you can imagine. Takashi Murakami, P.Diddy, and JR were all there. It was an intimate setting and everyone just went wild. It was completely surreal. What are you tips for getting into parties? Find the most beautiful person you can find and stick by their side. Friday is a big night. During the day I'll be at the Lowes, doing a yoga event with Exhale from 10-12. After that I'm body-painting models all day at the pool cabanas. (To RSVP to this, e-mail kiara@kiarahorwitz.com). Later that night is the VH1 Soak Party at 1 Ocean Drive. What should I avoid doing at Art Basel? Trying to get to Wynwood and back in a short amount of time. Wynwood is the art district and there are a lot of fairs there. There's a major bridge that takes people between Wynwood and South Beach which is closed this year so it will be hell getting there and back. Wynwood is amazing, but you should pick a spot and stick with it - don't plan on going back and forth. Is this a good time to actually purchase art? Any tips for beginner art collectors? It's a good place to get your bearings on artists that you like. You can buy art, but there's so much that it can be overwhelming so its good to approach it from a calm perspective. If you're on a tighter budget, more emerging centers like X Contemporary or Aqua Fair might be better for you. You'll never see a higher concentration of art, but a lot of the best work is sold in VIP openings before the art hits the public. What is Art Basel like for you as an artist? It's a place where I can meet artists I don't get to see in New York and collaborate with them....maybe we decide to graffiti a wall together in the future. I did a thing with Usher which was really awesome. So it's a great for networking and seeing all the artwork is creative in itself. Jeremy Penn is a New York-based artist who sells his works in galleries all over the world. He has a background in fine art and attended the Pratt Institute. Penn is influenced by street pop art of the 80's. 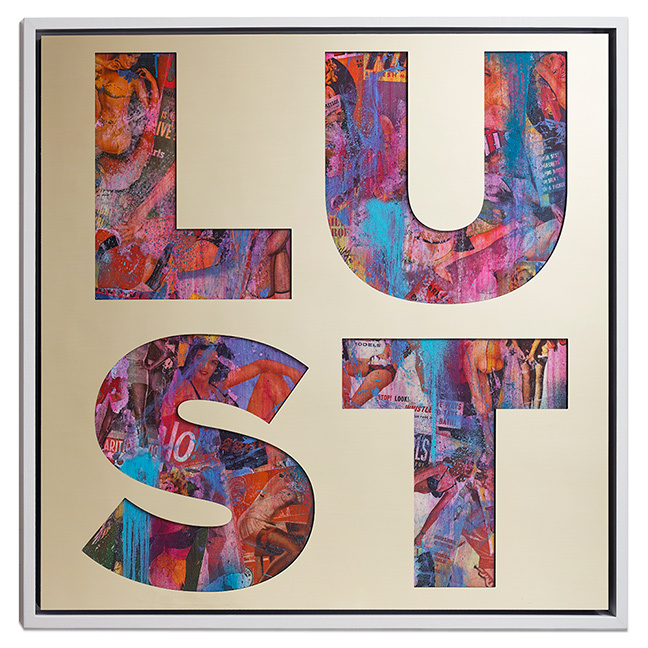 His work can be purchased from Dorian Grey Gallery in Manhattan or through his art rep, Jessica Levy of JL Art Advisory. December is quickly approaching and we all know what that means: Art Basel time! Book a hotel in South Beach and spend your weekend strolling through beach-front art exhibits, sipping mojitos, and running into everyone you've ever known. 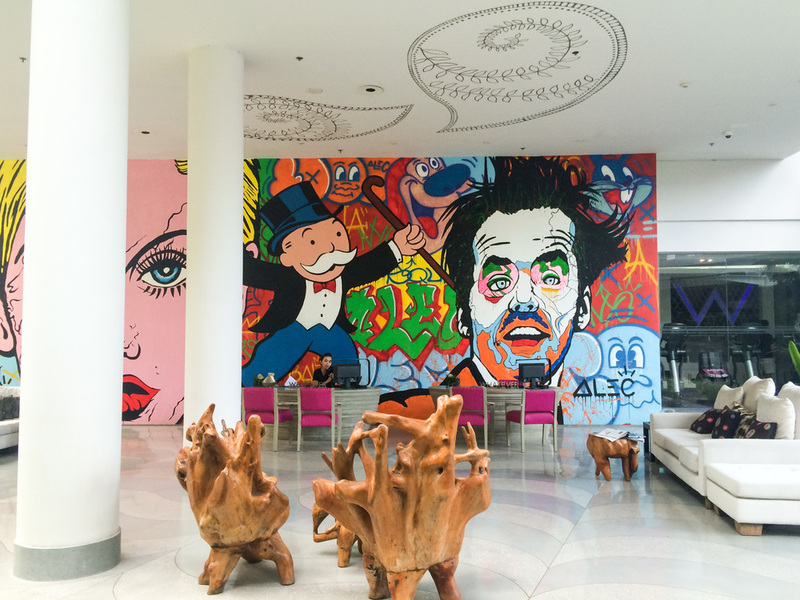 Hotels: Any of the big hotels in South Beach will put you in the middle of the action. My favorites are: 1 Hotel South Beach, The Delano, The Raleigh, Soho House, and Edition Hotel. Restaurants: See and be seen at Prime 112 and Casa Tua, both of which require reservations in advance. For some authentic Cuban fare, try Puerto Sagua. The best brunch spot is Cecconi's, at Soho House. Art: The major fair is Art Basel, which would take the whole weekend to see in its entirely. Make sure to get tickets ahead of time, because the line here is long. I actually prefer the smaller, less crowded art fairs that present the art in more manageable doses. My favorite is Untitled, a small but well-curated fair that happens to be right on the beach and has a bar. Other great shows are: Scope, Design Miami, Spectrum, Pulse, and Art Miami. Nightlife: My strategy for going out at night during Basel is to choose a place I love and get there early. Last year, I went to The Delano around 8pm and when I left around midnight, there was a serious party happening and a terrifying line situation. Party hopping isn't a good idea because taxis are sparse and every door will be difficult, even if you're "on the list." Singapore is where old meets new. You'll find man-made parks atop sky-scrapers, indoor rain-forests and eerily clean city streets. But you'll also find colorful, 19th century shophouses, bustling hawker centers, and neighborhoods like Little India and Chinatown, where tradition and the past still dominate. Singapore is a city of opposites, a clashing of ideals and a confusion of norms. A weekend there is fascinating, if a bit disorienting. If you've got two full days, I say dedicate one to the future and one to the past. You'll leave with a little bit of each, and maybe feel a bit more centered in your present. Orient yourself with a river cruise through the Singapore River, including the Boat Quay, the Clarke Quay and Marina Bay, where you'll spot the city's iconic Merlion. Afterwards, head to the Gardens by the Bay, a vast expanse of cultivated gardens on reclaimed land by the bay. Stroll through the gardens and admire the 50-meter tall concrete "supertrees," covered in tropical flowers (which are also quite a vision by night). 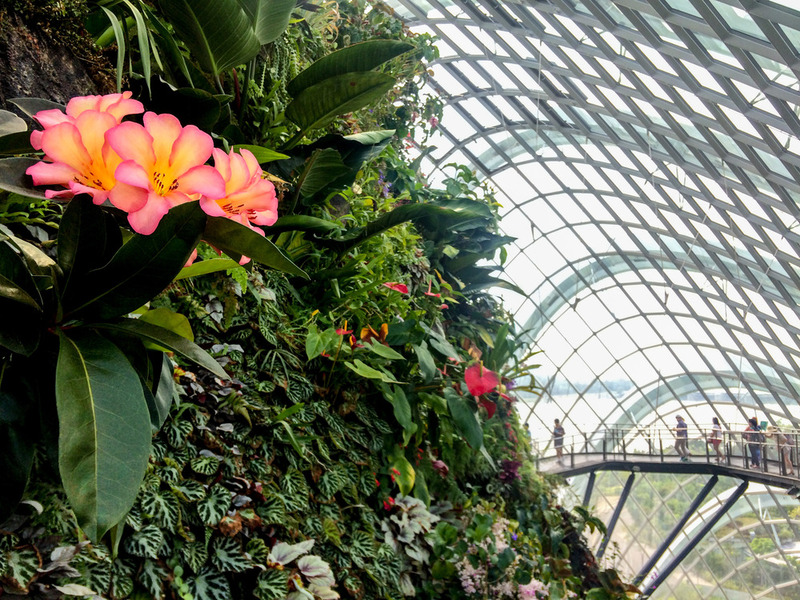 Escape the humidity by stepping into the Cloud Forest, an indoor tropical rainforest and then the Flower Dome, the largest greenhouse in the world. Have lunch inside the Flower Dome at Pollen, a Mediterranean restaurant by chef Jason Atherton, who uses vegetables and herbs grown in the Flower Dome for his dishes. After lunch, explore the Singapore Botanic Gardens, a UNESCO World Heritage Site. Watch the sunset 57 stories high, at Flight Bar & Lounge and eat dinner on the same floor, at Sky at 57. Head out after dinner at Ce La Vi (previously Ku De Ta) and dance the night away on top of the world (literally). If you have kids (or even if you don't), an alternative plan is to drive about a half hour from central Singapore (or take the Singapore Cable car, from Mount Faber) to Sentosa, a futuristic island resort, visited by around twenty million people a year. In Sentosa, check out Asia's tallest freestanding tower, the Tiger Sky Tower (formerly the Carlsberg Tower), Underwater World and the Butterfly Park and Insect Kingdom. Head to Little India and get a dosa for breakfast at Komala Vilas, where you'll feel like you're deep in South India. Check out the Indian Temple, the Abdul Gaffoor Mosque, and stroll through the shopfronts. Try Gulab Jamun (a spoungy milky ball soaked in rose-scented syrup) from a street vendor and get henna on your hands, just to make sure everyone knows you're a tourist. 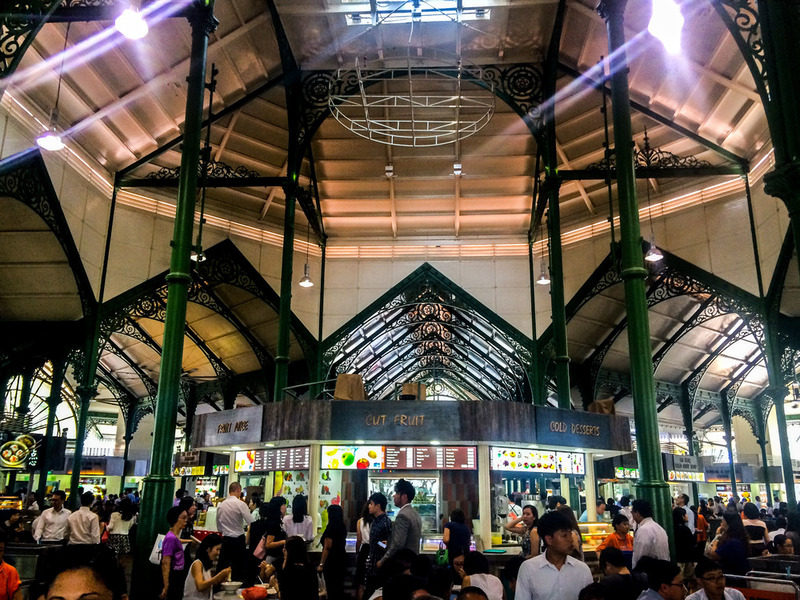 For lunch, head to the Lau Pa Sat hawker center for some traditional Singaporean cuisine, then walk (about ten minutes or so) to Chinatown. Check out the Buddha Tooth Relic Temple and Museum, buy some Chinese sweets at Tong Hen, and get reflexology at Bath Culture Foot Therapy. Have dinner at Red Star Dim Sum, perhaps the most authentic dim sum in Singapore, and then hop into an Uber to the Arab Quarter, known for its colorful, narrow streets and the Sultan Mosque. Head to Nabins for drinks, hooka and belly-dancing, and end the night a few doors down at Blue Jaz Cafe, with some of the best live music in Singapore. Wonderful bookstore with up and coming Singaporean authors. 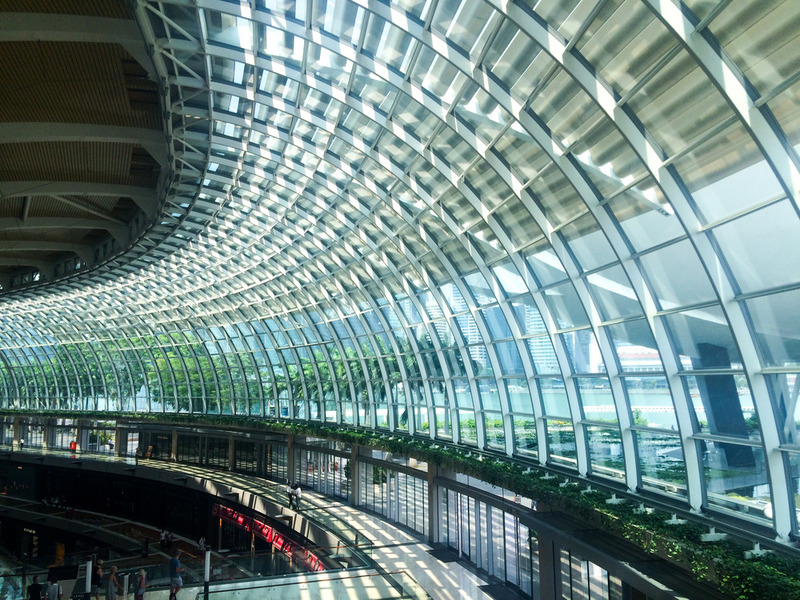 Stay: Marina Bay Sands; The Fullerton; Fullerton Bay; Raffles. Eat: Sky at 57; Pollen; Luxe Singapore; Iggy's; Wild Rocket; 2am Dessert Bar; Min Jiang; Hong Lim Market; Restaurant Andre; Maxwell Road Hawker Center; Xi Yan; Nadaman. 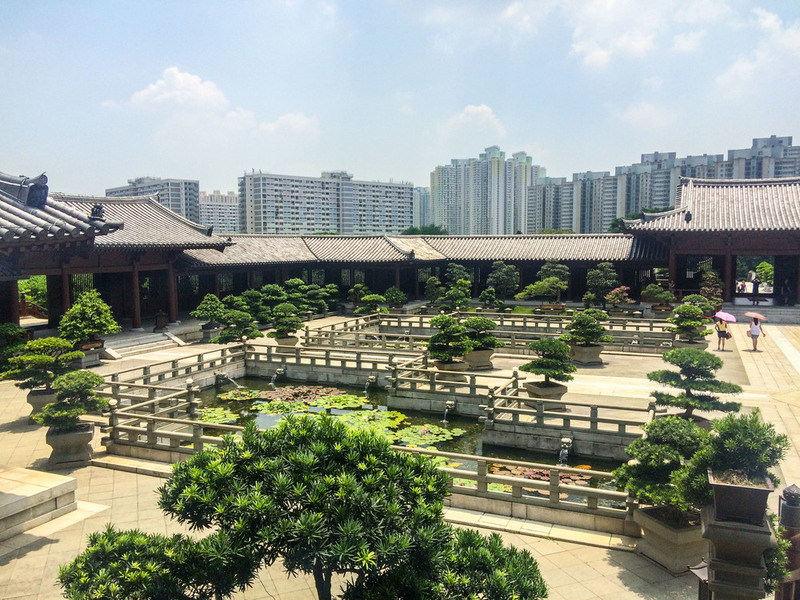 Activities: Buddha Tooth Relic Temple and Museum; Butterfly Park and Insect Kingdom; Underwater World; Singapore Cable car; Singapore Botanic Gardens; river cruise; Gardens by the Bay. 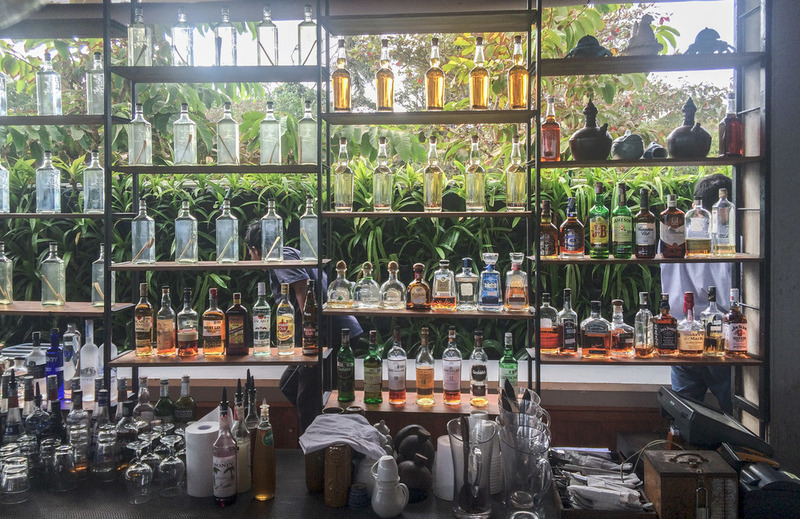 Rooftops: Tiger's Milk; Ce La Vi; Sky at 57; Lantern; Flight Bar & Lounge. 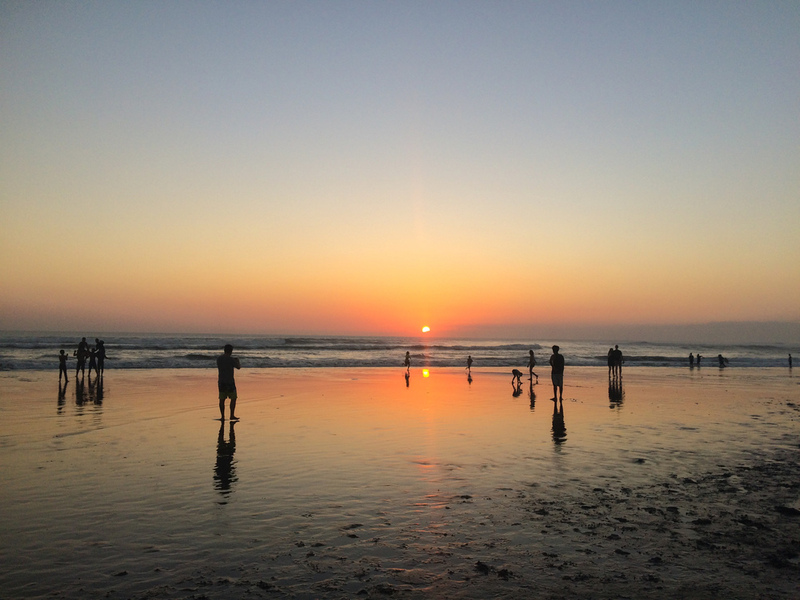 In Bali and sick of all the yoga and juice? Feel like you'll punch a monkey if you see another rice paddy? You might be ready for a drink...or two or three. 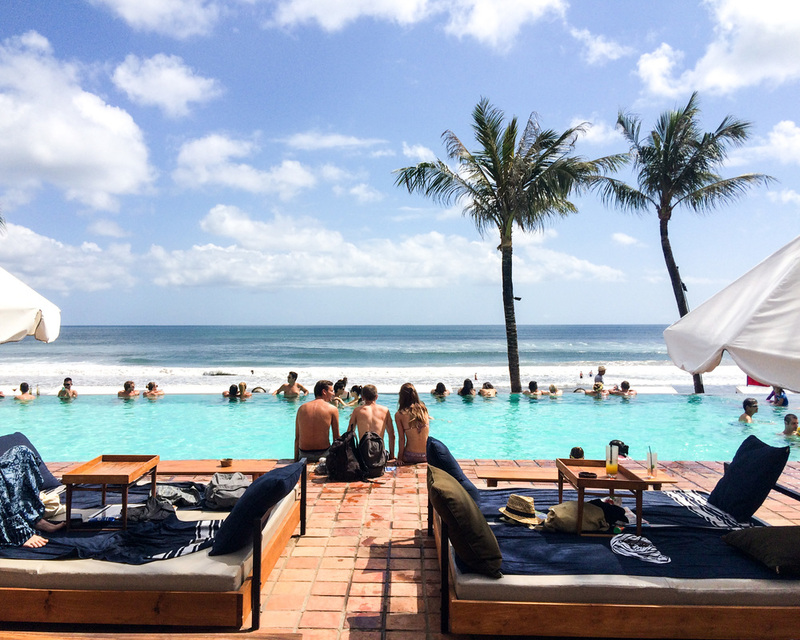 If this is you, grab an Uber and head to Seminyak, the party-capital of Indonesia. Stay at The W, where you'll find a swinging pool scene and party-ready rooms complete with private pools, outdoor sound systems, playful decor and lightning-fast food and beverage service. 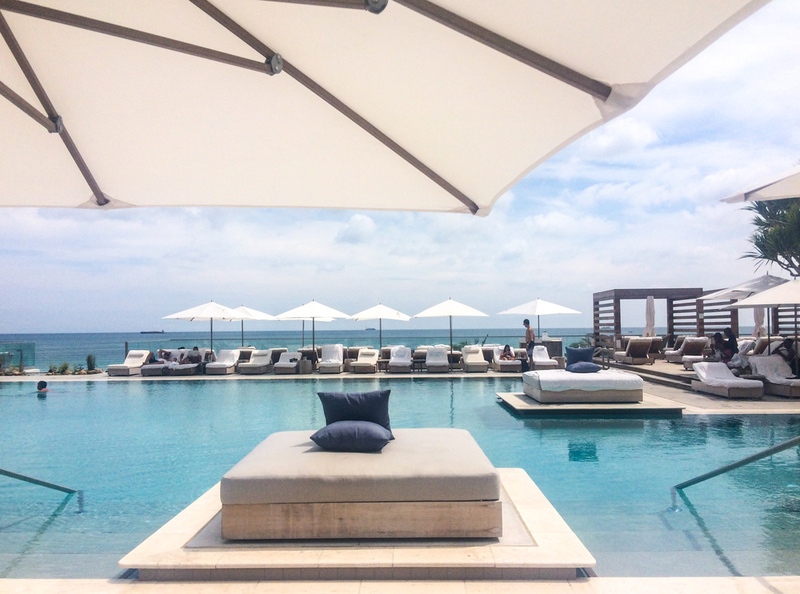 Book a beach bed next door at the iconic Potato Head Beach Club and spend the afternoon sipping cocktails in the club's famous infinity pool. Watch the sun go down at Ku De Ta, and stay here for dinner and dancing to the sound of the waves. You might be feeling it the next day but there's no better place to be hungover than the land of dirt-cheap massages and Nasi Goreng (Indonesian fried rice). Get a two-hour massage at Body Works and re-fuel with the Geen Nasi Goreng with Egg à Cheval (with a fried egg on top) at Chandi. Green Vegetarian Nasi Goreng with Egg a Cheval. Stay: The W; Oberoi; The Legian; Alila. Party: The W; Potato Head Beach Club; Ku De Ta. Shop: From Boutique (incredible store for basics, I bought about 10 cotton t-shirts and tank tops and they've been my favorites ever since); Magali Pascal; Bagatelle; Lulu Yasmine. 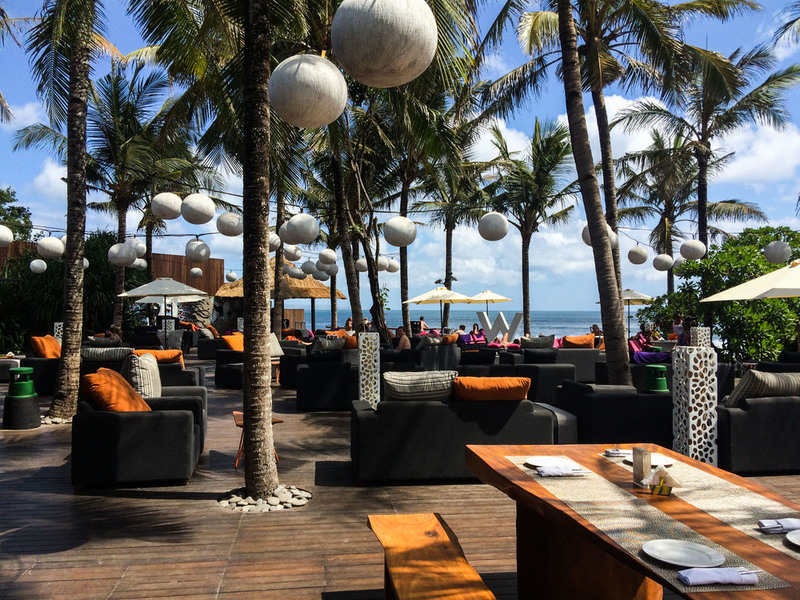 Eat: The W; Potato Head Beach Club; Ku De Ta; Chandi; La Lucciola. 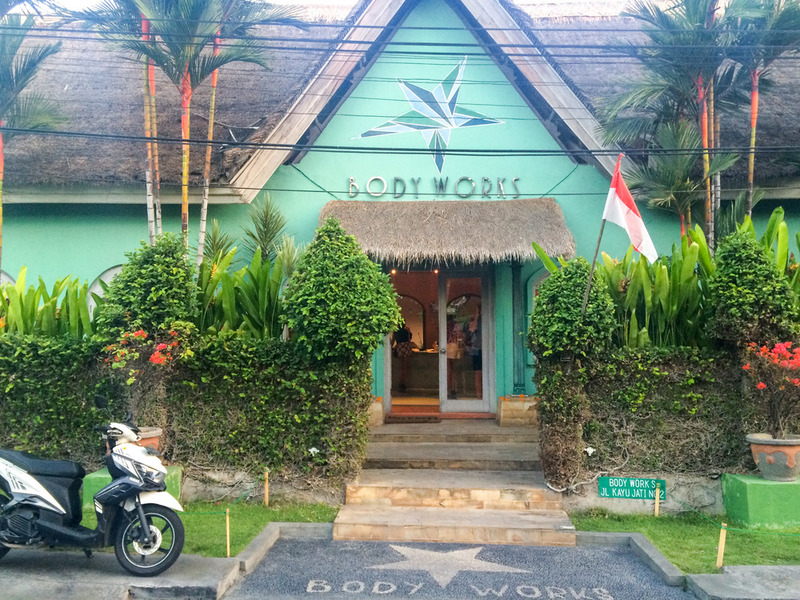 Spas: Body Works; The W.
On a recent vacation to Bali, I incorporated a "long layover" in Hong Kong. I figure that if I have to stop somewhere, I might as well stay long enough to check it out. Of course, Hong Kong deserves much more than a weekend. But if you've only got a weekend, you're in for a treat. Here's how to layover (yes, it's a verb now) in Hong Kong. Check in at the Landmark Mandarin Oriental. Hop on the ferry over to Kowloon for dinner at Hutong, a Northern Chinese restaurant with dim lighting and floor-to-ceiling windows showcasing breathtaking views of Victoria Harbor. 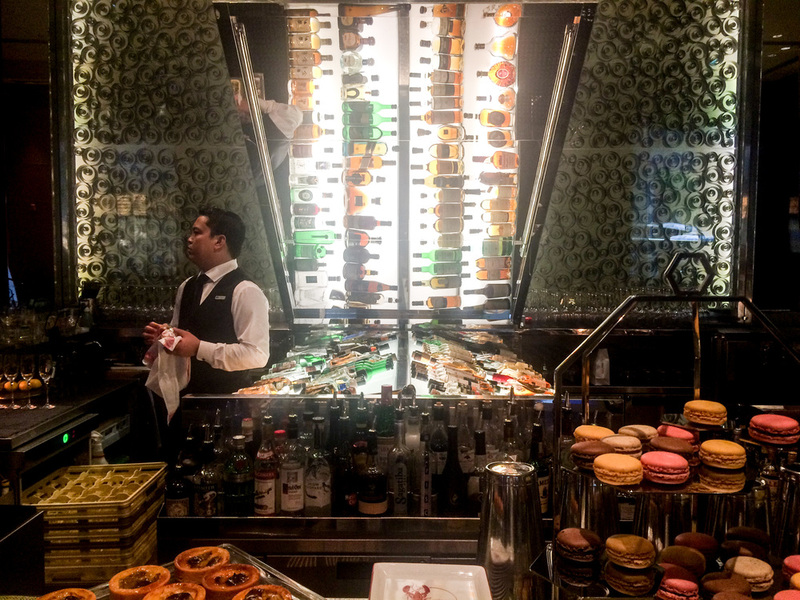 If jet lag is keeping you up, get drinks (and more views) at the Peninsula's famous bar, Felix, and then do like the locals and grab a karaoke room at CEO Noway (also on the Kowloon side). If you're looking for a more low-key night after your trip around the world, there is a Michelin-star French restaurant in your hotel that is delicious and just an elevator-ride away from your bed. 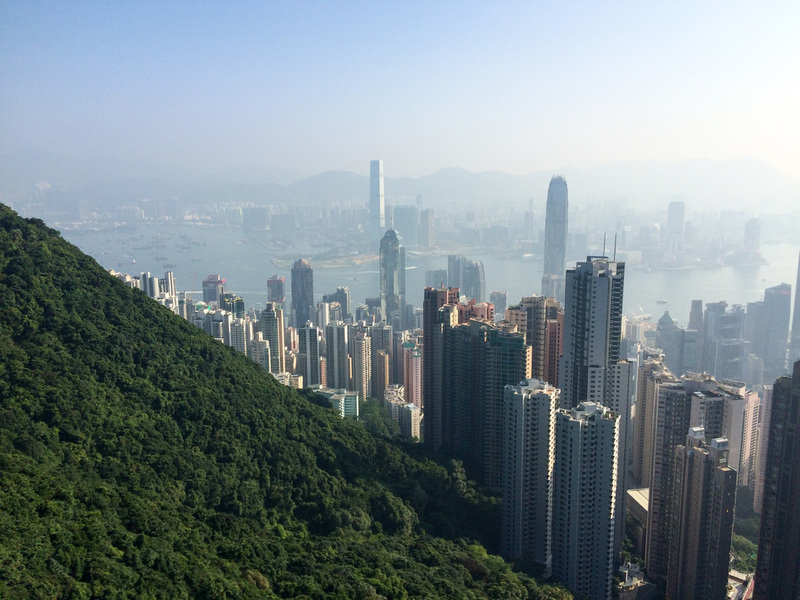 Get an early start by taking the tram up to The Peak, Hong Kong's most iconic view-spot. Stroll through the paths winding down the mountain from the peak (or take the tram down) and find yourself at the Hong Kong Gardens. After exploring the gardens, stop into the Flagstaff House Museum of Tea Ware and grab tea and a light snack at the Lockcha Tea House. 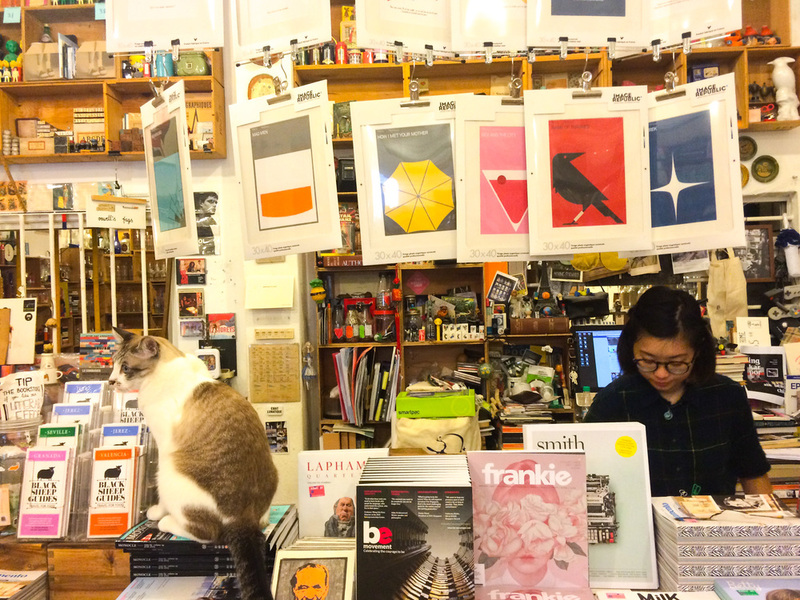 Hop into a taxi and head to Sheung Wan, Hong Kong's art district. You'll find gorgeous ceramics, traditional art and antiques and contemporary galleries. While you're in the neighborhood, step into the Man Mo Temple before grabbing a well-deserved dim sum lunch at Luk Yu Teahouse. 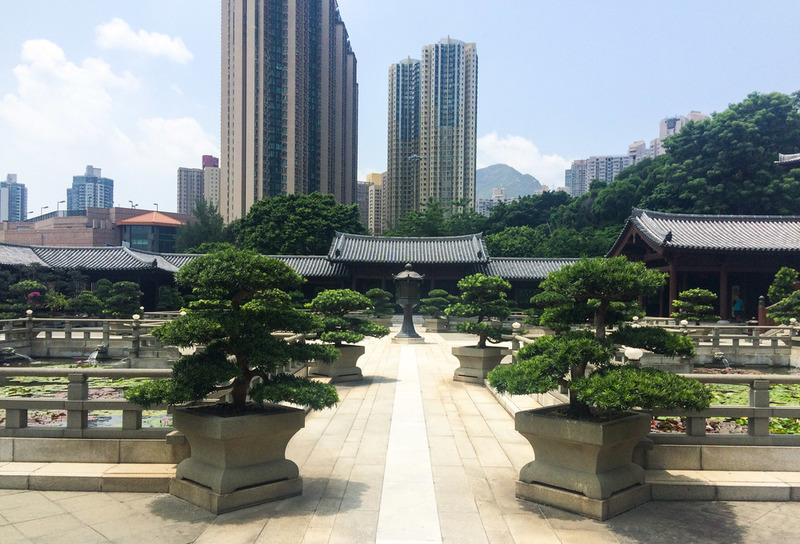 After lunch, grab a cab over to Kowloon to check out the Nan Lian Garden and the Chi Lin Nunnery (about a three minute walk from one another). 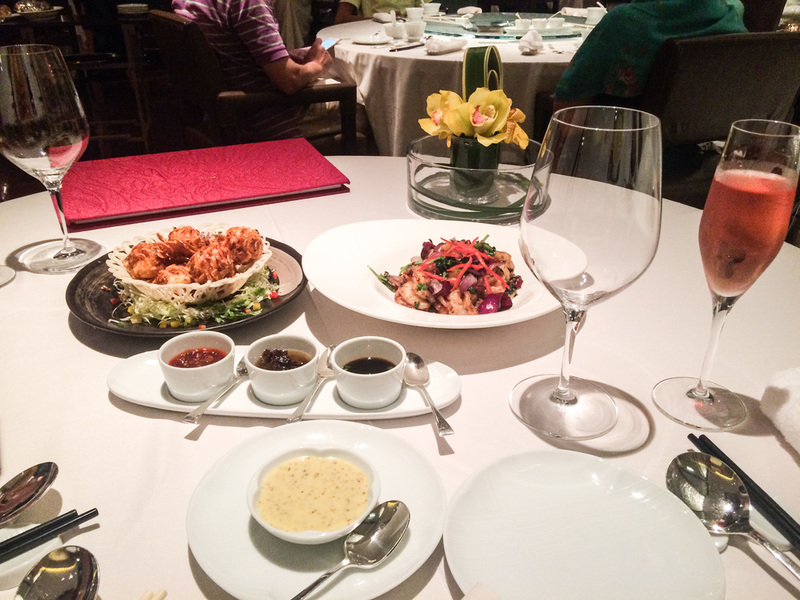 Head back to the mainland and get a fancy dim sum dinner at Man Wah, a Michelin-starred Cantonese restaurant and arguably Hong Kong's most beautiful dining space. 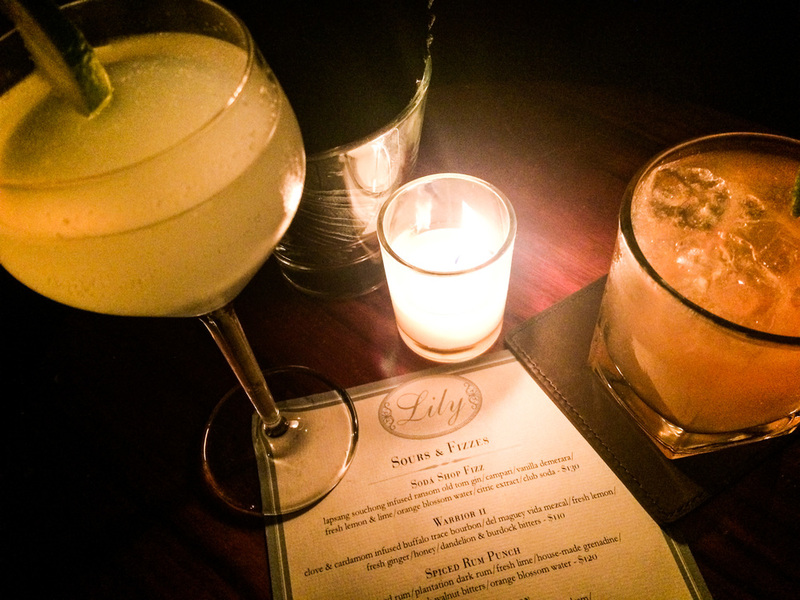 Grab cocktails after dinner at Lily & Bloom, and head out to the bars of Lan Kwai Fong (known as "LKF") for more revelry. 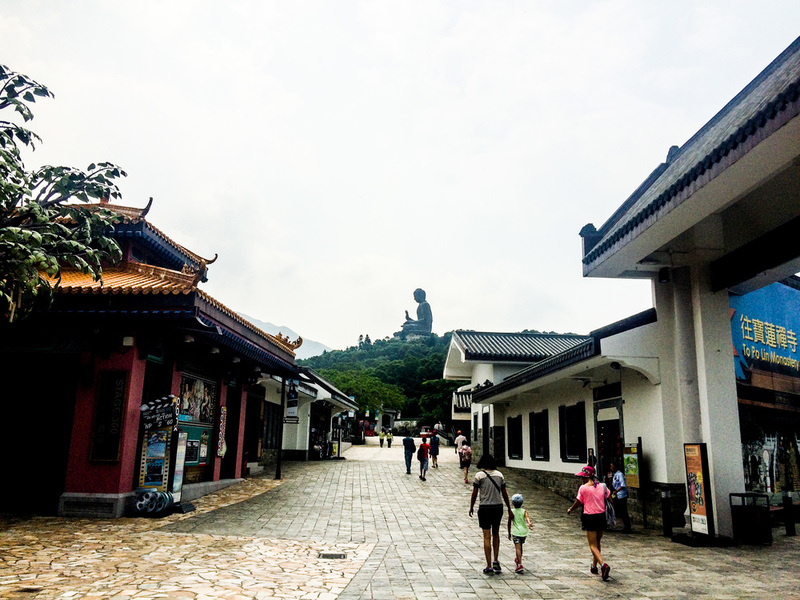 Get another early start today because you'll be visiting the Po Lin Monastery and the Tian Tan Buddha, otherwise known as the Big Buddha, on Lantau Island. 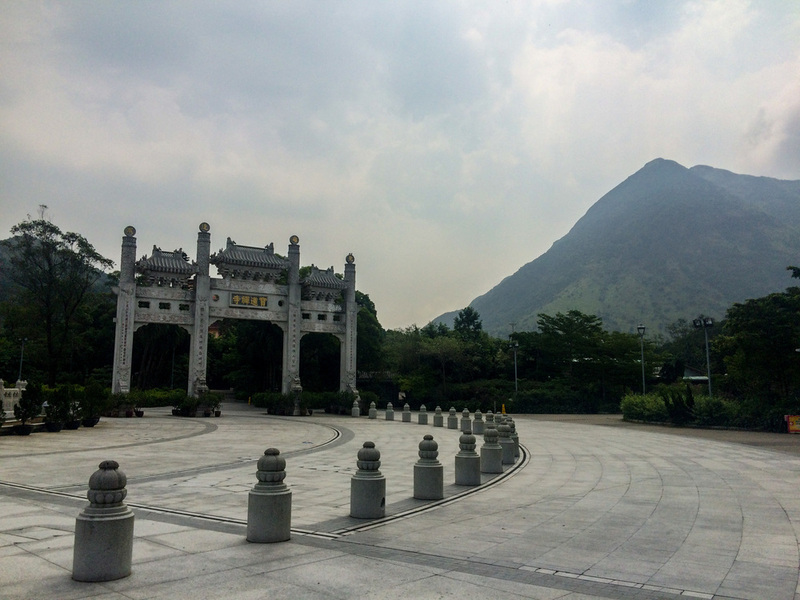 Take the MTR Tung Chung Station Exit B, then ride the Ngong Ping Cable Car over the hills for about a 25-minute ride, watching closely for an early glimpse of the Buddha. After making your way through the cartoonish town (think: a Chinese Disneyland), ascend the stairs up to the Buddha. Note: The Big Buddha is near the airport, so if you're taking off in the afternoon, you should bring your luggage with you in the morning, leave it in a locker in the airport, and then head to the Buddha by taxi. I didn't love the food offerings at the Monastery, and would suggest heading back to the mainland for lunch at the local favorite, Butao Ramen, followed by reflexology around the corner at Happy Foot. Get sunset cocktails at the highest bar in the world, Ozone Bar, and then head to dinner at dinner at Lung King Heen, a three-Michelin-star Cantonese establishment in the Four Seasons Hotel. If you are heading back to New York in the morning, head to Dusk Till Dawn and get a head start on kicking your jet lag by dancing all night to the live band. This is a delicious sashimi bar where you can get bowls of tuna with rice and other toppings on the go. Stay: Peninsula; Landmark Mandarin Oriental; Mandarin Oriental; Four Seasons; Ritz Carlton. Eat: Butao Ramen; Hutong; Lung King Heen; Man Wah; Luk Yu Teahouse; Lockcha Tea House; Amber. 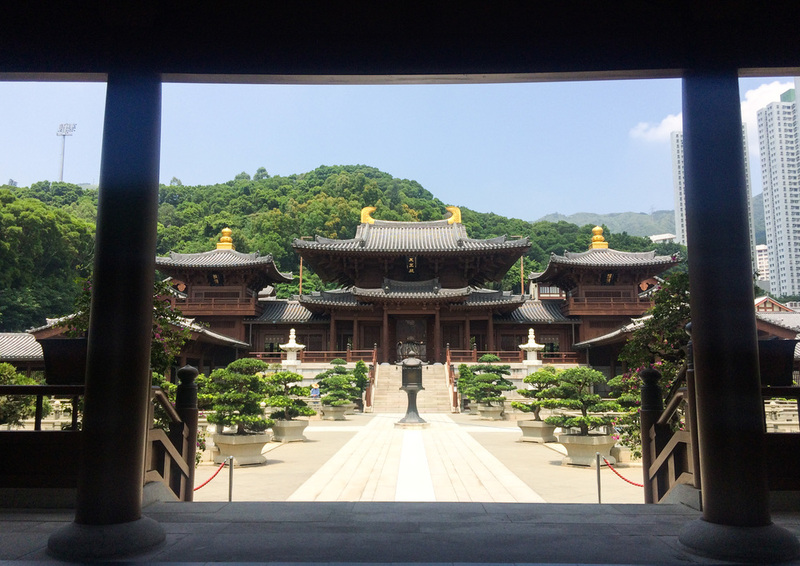 Do: Chi Lin Nunnery; Nan Lian Garden; Big Buddha; Reflexology (everywhere). Nightlife: CEO Noway; Dusk Till Dawn; Felix; Ozone Bar; Lily & Bloom; LKF district.